The Russian Revolution had a decisive impact on the history of the twentieth century. In the years following the collapse of the Soviet regime and the opening of its archives, it has become possible to step back and see the full picture. 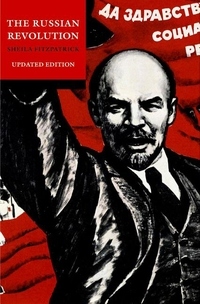 Starting with an overview of the roots of the revolution, Fitzpatrick takes the story from 1917, through Stalin's "revolution from above," to the great purges of the 1930s. She tells a gripping story of a Marxist revolution that was intended to transform the world, visited enormous suffering on the Russian people, and, like the French Revolution before it, ended up by devouring its own children. This updated edition contains a fully revised bibliography and updated introduction to address the centenary, what does it all mean in retrospect.